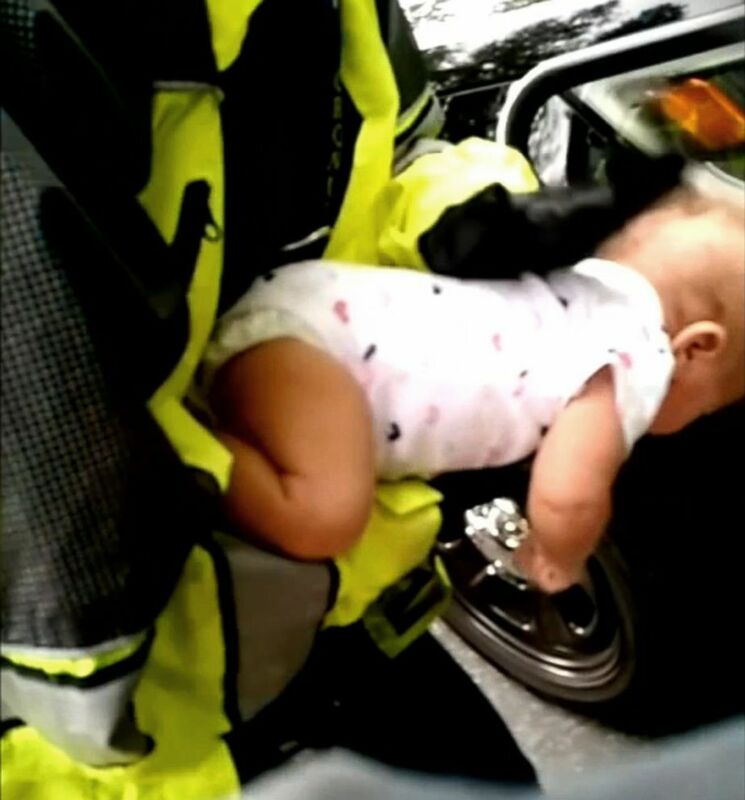 A Georgia police officer is being called a hero after he saved a baby from choking. 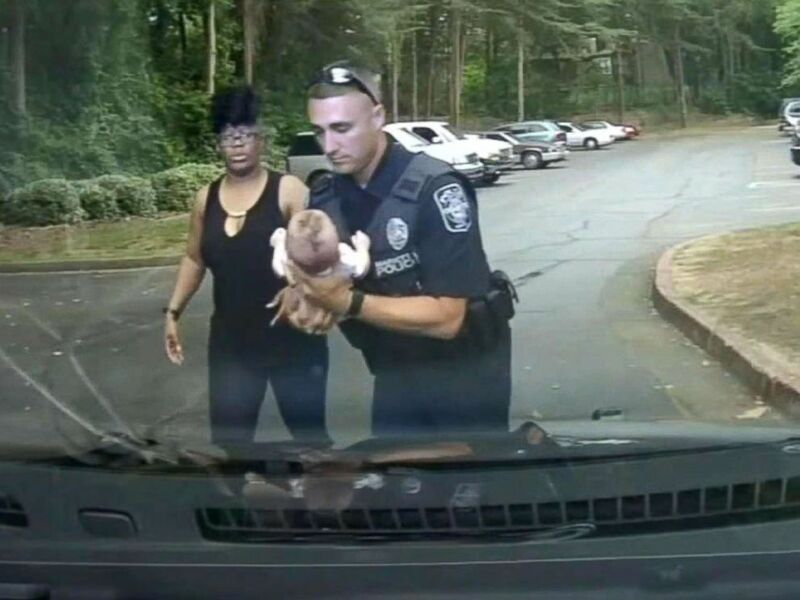 Marietta officer Nick St. Onge responded to a 911 call May 15 from a woman who said her 2-month-old infant was conscious but not breathing, according to a statement by the Marietta Police Department. The act was caught on dashcam and bodycam footage. Georgia police officer Nick St. Onge used CPR to save a choking baby in Marietta, May 15, 2018. Officer St. Onge, a five-year veteran of the department, arrived at the scene to find a woman standing in the parking lot, holding the baby, police said. The woman holding the baby was Kianna Dorsey, her grandmother. The baby appeared lifeless and was turning blue, police said. Officer St. Onge began CPR, using chest thrusts and back blows to try and clear the baby’s airways. “There we go. Come on, baby. Come on,” St. Onge says in the video. 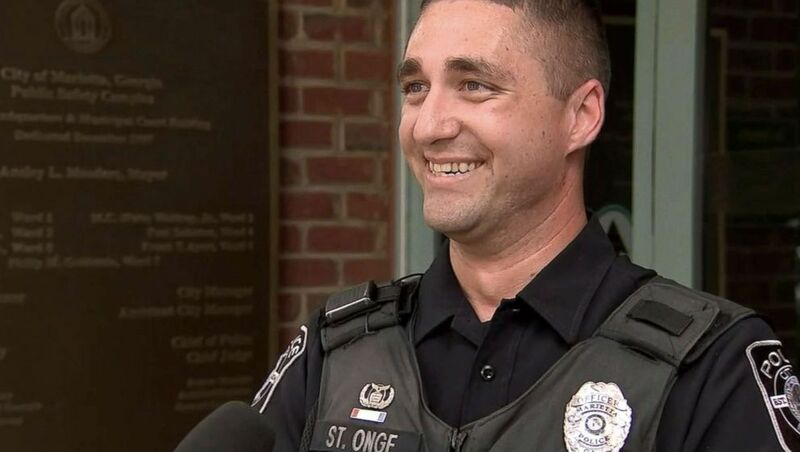 Georgia police officer Nick St. Onge is being called a hero after he used CPR to save a choking baby in Marietta, May 15, 2018. St. Onge had recently taken a CPR class in February that helped him during this incident, he told ABC Atlanta affiliate WSB-TV. Fire department paramedics arrived shortly afterward and took over. Dorsey called St. Onge the family’s hero. The baby was released from the hospital and is home with her family.